1st Anniversary and 2nd Location Grand Opening! Join us for our 1st Anniversary and 2nd Location Grand Opening! 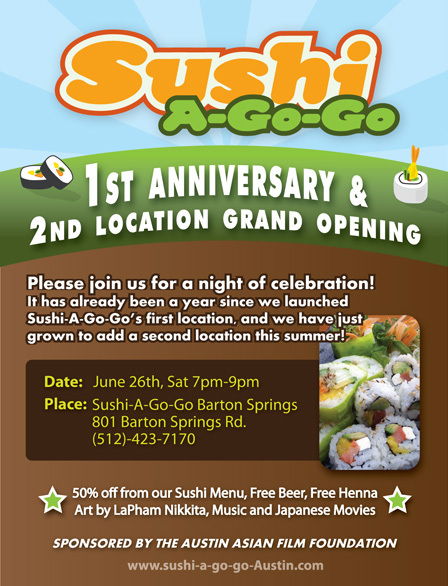 Saturday, June 26th, 7pm-9pm at our Barton Springs location! Posted in Blog | Comments Off on 1st Anniversary and 2nd Location Grand Opening!